Most three-day weekends, we turn them into four by taking vacation on Friday and traveling somewhere. Tomorrow is the MLK federal holiday and I was itching for a road trip somewhere. A couple of weeks ago I got an email that Jay Leno was playing in Kinder, Louisiana at the Coushatta Casino Resort. Yay! We love to go there! Vegas it ain’t, but it’s a beautiful casino with great food and a gorgeous RV park. A couple of years ago they even installed a water park with a couple of those tall twisty slides and after an afternoon there, I realized I had muscles I forgot I had. I must have gone down those slides half a dozen times and could hardly move the next day! But oh it was SO much fun being a kid again! One of my favorite parts of coming here is that there is the Oberlin Quilt Shop just six miles up with road. Win Win! And winning is the point of coming to a casino, right? So I bought tickets to see Jay Leno (who was awesome BTW!) and we arrived here Friday afternoon. When we travel in the RV, I usually bring along some project to keep me busy in the quiet hours of the morning because I’m normally up before Keith. I love this time of day – just me, a coffee mug, and peace. Ahhh. This trip, I brought along an applique project I’m working on to hang over our bed at our house at the coast. This is Beach Livin’ by Coach House Designs. I love this! It’s 52” wide and so perfect to go over our bed. I have been meaning to make a pressing pad for ironing small things. I can’t believe I don’t already have one. Naturally, I decided this on Friday morning as we were preparing to leave. So I fished around in my stash and couldn’t really come up with anything I liked or was willing to cut into for a pressing pad. I recall that I’ve seen them made of a couple of placemats sewn together and decided to go digging for treasure in my linen closet. I had purchased six placemats probably at World Market or Target or somewhere that were beautiful, bright, bold chevrons. Of course I couldn’t decide which to get so I got one of each color: teal, gray, pink, yellow, green, and orange. The pink and yellow really don’t work in my house anywhere so they were orphaned in the linen closet since the other four are currently on my kitchen table. Perfect! They didn’t really need any batting because they are already pretty dense by themselves. So I clipped them back-to-back (no turning here). I tried quilting pins but they just made it all lumpy and I didn’t think it would sew straight. Then I dropped my upper tension down a bit to accommodate a hand quilting thread. I’m not sure if I really needed that thick thread or not, but better safe than sorry. I made sure to change my needle to a huge 110/18 so it could handle the thickness of the two placemats and the hand quilting thread I used. And in about three minutes, I had a bright, cheery pressing pad! Now if I would have just remembered to bring my Clover Mini Iron I’d be in heaven! Really, that thing is awesome and deserves a permanent home in my projects travel bag. Don’t be fooled by the smallness of it. It has three heat settings and gets plenty hot for fusing or creasing seams. 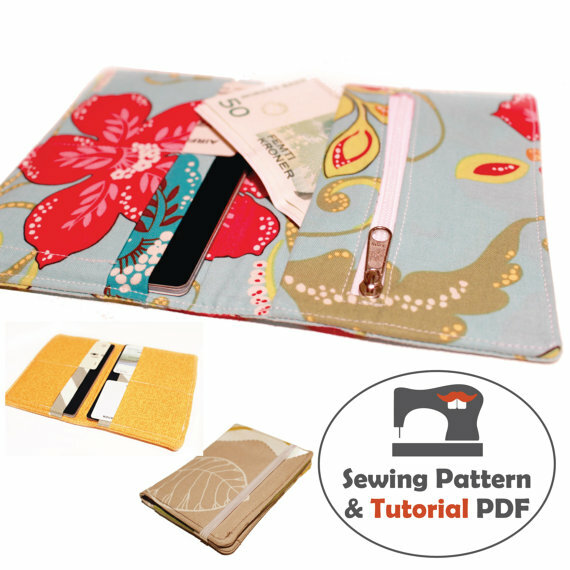 It’s specifically designed for applique and this kit even includes a cutting knife for small pieces! I’ll blog on this pretty wall hanging when I finish it. Enjoy the weekend everyone! Oh, and the trip to the quilt store was a bust. 😦 She’s only open now Mon-Fri and Saturday’s on-call. I couldn’t reach her so… bummer. I usually drop some decent Craps winnings in that store so I’ll be sure to call prior the next time we travel here. One of the best things about a new year is a new Block of the Month (BOM) project. For quilting newbies, a BOM is a great way to make your first quilt. You get a new block each month from the hoster of the project and you have a whole month to finish the block. 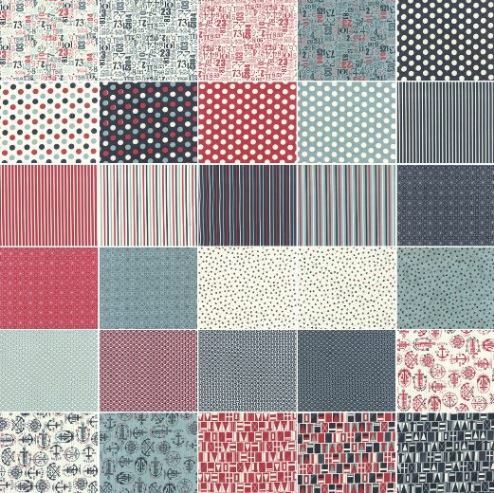 You buy your own fabric and by signing up, you’ll get a new block pattern every month. 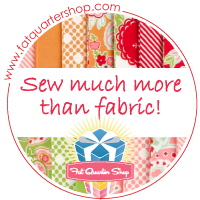 Near the end of the year, you’ll get instructions on how to put your quilt together too. Most BOMs have a monthly fee or monthly financial obligation but the one I’m in is FREE! Yay! Making one block at a time definitely de-stresses the entire quilting process. Nothing overwhelming here! 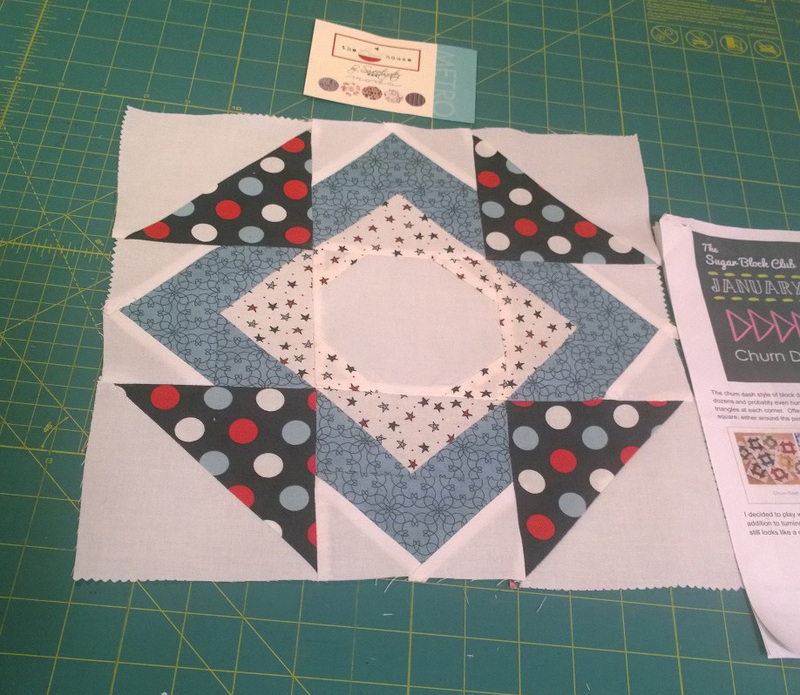 Amy Gibson is an amazing quilter up in Colorado and she’s hosting her 2016 Sugar Block Club. 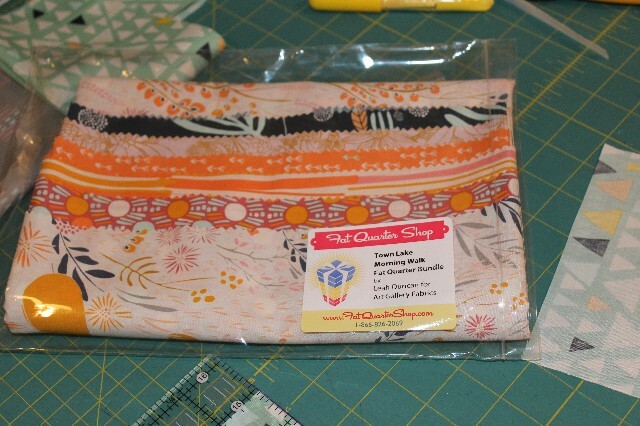 This is a BOM project that only uses 4 yards of fabric so one of my layer cake precuts will work. This is my third season with Amy and not only is she an amazing quilter, she’s an amazing instructor! Her directions are tested and clear and very easy to understand. In a previous year, she challenged me with paper piecing and I’m still not good at it but if it weren’t for her, I’d of never attempted it. 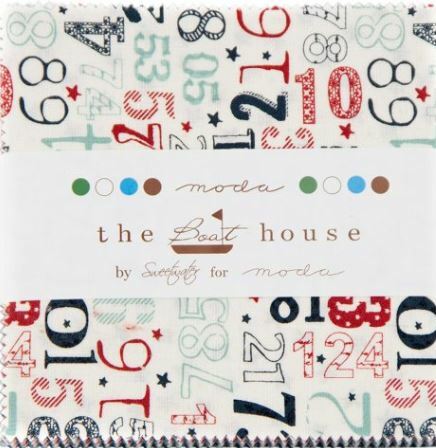 My fabric is The Boathouse by Sweetwater for Moda. This is a beautiful fabric line that I thought would make a great quilt to keep on a guest bed at the coast. My layer cake has several pieces of each fabric in the line. Aren’t they great?! My son is the new Youth Pastor at Mesa Hills Christian Church in Colorado Springs, CO and he’s going through the details of getting a passport for upcoming missionary work in Haiti. I recall when Lladybird made a passport wallet for her trip to Paris so I thought I might make him one. 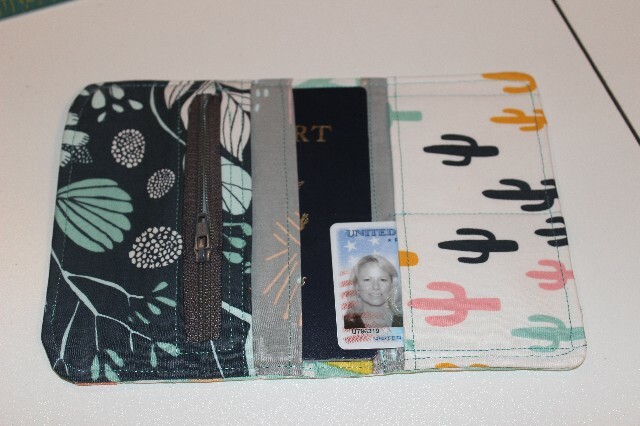 Why does someone need a passport wallet? Well, because (and take it from one who knows first-hand) you want somewhere to keep the Customs Form you get on arrival so you have it handy when you are in the airport on the trip home. I lost my form on my last trip to Playa del Carmen, Mexico and what a MESS that was at the airport! And… it’s really nice to have that valuable piece of documentation protected in a nice wallet from mom on a trip too. Teethy McGee Digital download from Etsy. A couple of years ago, he asked me to make him a replica Goruck Gym Bag and it was made from a new fabric called Cordura. It’s a super high-end military grade synthetic fabric that’s darn near tank-proof and I was surprised at how it easy it was to sew on. Its like a light weight, plastic coated canvas and he liked the bag so much that I thought it would be good material for the wallet. I wanted something that would slide easily in and out of pockets or be found quickly in a carry-on so there wasn’t an inconvenient tug factor when taking the passport out for Customs. I ordered a yard in Smoke Gray for his wallet. 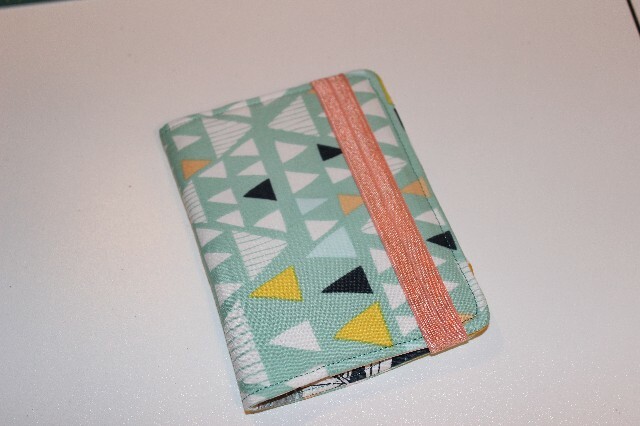 I love this wallet because it has a place for credit cards. I don’t put credit cards there though, but Texas has a card that can be used for local border crossings that is the same size as a credit card. Its for frequent border crossings and takes the place of a passport. It came in handy before the border became too dangerous for this blondie to cross even in the daylight. I think I’ve used it once since I got it in 2009. But you never know, one day the shopping might be safe again. I’ll be honest, my first wallet attempt was a fail. I used the wrong type of interfacing (fusible fleece – don’t ask, I can’t say why), I didn’t leave enough room to turn it right-side out and ripped the stitching, and my final seam didn’t turn in properly (fleece issue). So I gave it another shot and TA-DAA! Success! I also trimmed my time off of completion by 20 minutes. I hope she likes it. I’m looking forward to the Cordura fabric getting here so I can make one for my son and one for hubs. 🙂 We still travel to Playa del Carmen occasionally or take a cruise here and there so he’ll use it eventually.